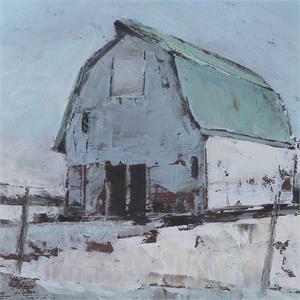 These barn art prints bring a traditional, farmhouse feel to a space. Cool-toned shades of blue, brown, sea foam green, cream, and black are present in each print. 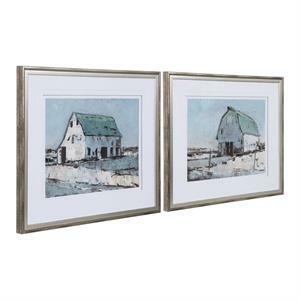 Each print features triple matting and a 3-dimensional stacked mat effect. 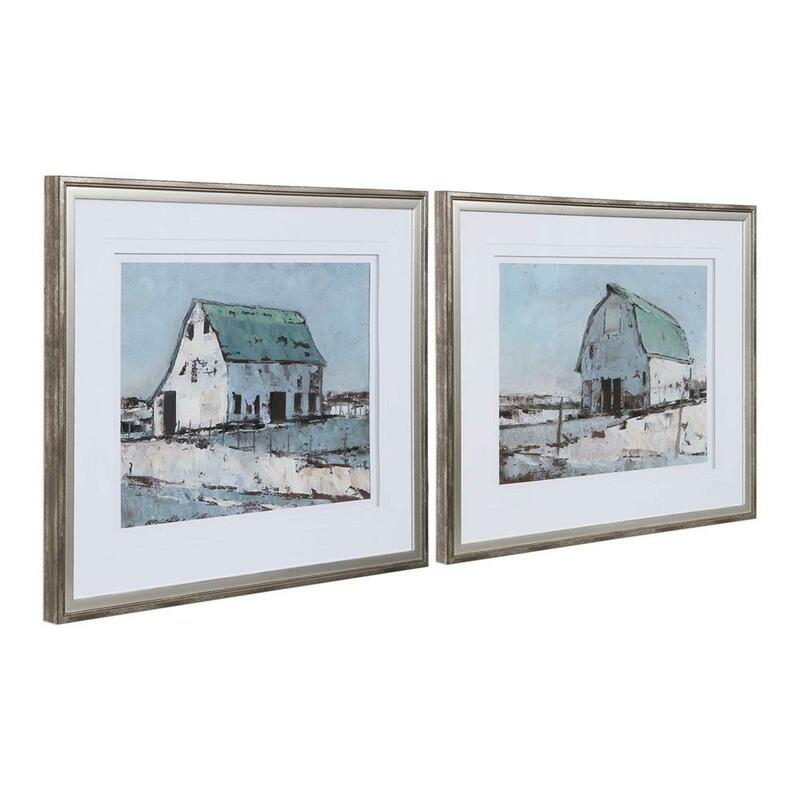 The art prints are surrounded by aged black outer frames with a lightly antiqued silver inner frame. Each print is placed under protective glass.